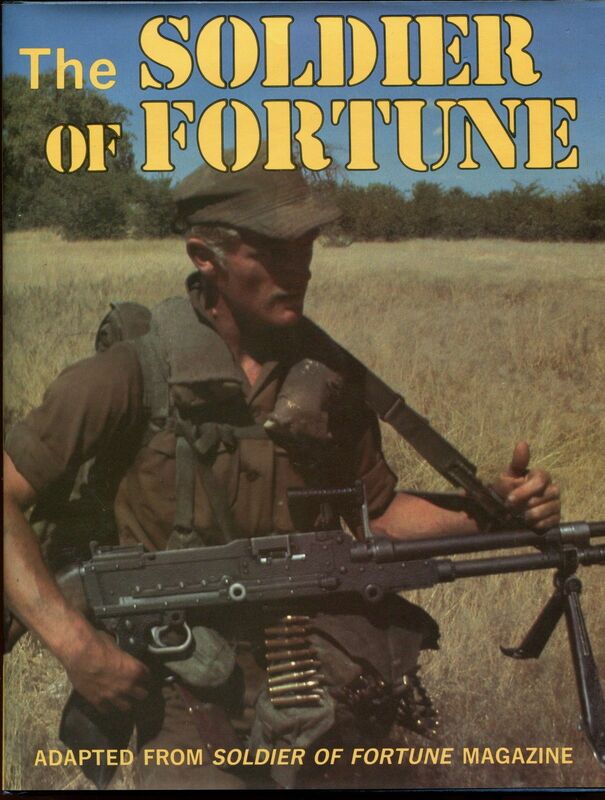 The Soldier of Fortune magazine was first published in 1975. This magazine focuses on the role of military mercenaries in the late 20th century. The book includes articles and photographs from its first 10 years of publication. Compiled by Robert L Pigeon. Copyright © 1986 Omega Group Ltd. First published in the USA 1986 by Exeter Books. ISBN 0 671 08253 1. Printed in the USA. Each section consists of a number of articles, most accompanied by black and white photographs, too numerous to list individually. There are some very minor scuffs and marks, otherwise as new.